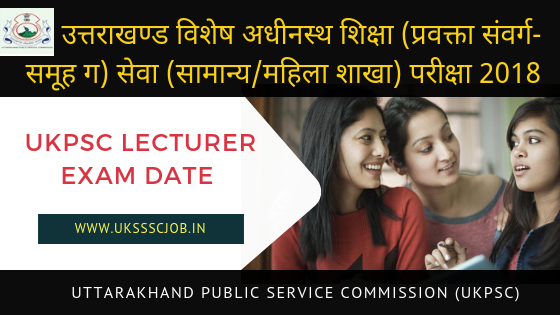 Uttarakhand Public Service Commission (UKPSC) has notification regarding UKPSC Lecturer Exam date 2018-19 on 30 December 2018. Candidates who have applied for the Lecturer post under Advertisement No: संख्या: 496/60/01/डी0 आर0 (मा0 शि0)/ सेवा-1/2016-17 can check their date sheet and schedule. Uttarakhand Public Service Commission (UKPSC) will release the Admit Card for Lecturer Screening exam 2018 on or before 25 December 2018. All candidates can download the Uttarakhand UKPSC Lecturer Admit Card 2018 by clicking on the link mentioned below or via UKPSC official website.